Christmas music and carol singing. 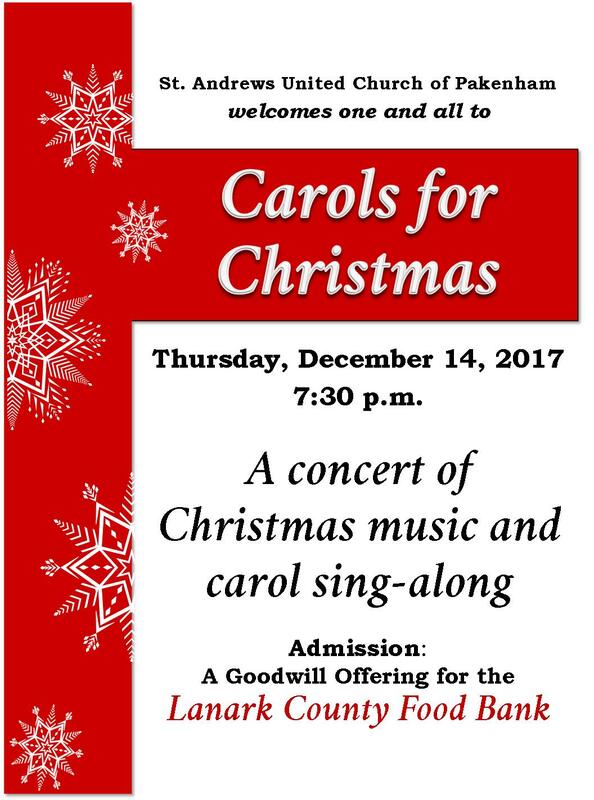 If you wan't to hear and sing your favourite Christmas music please join us on Thursday, December 14, 2017 at 7:30 p.m. Your free will offering will go to the Lanark County Food Bank.